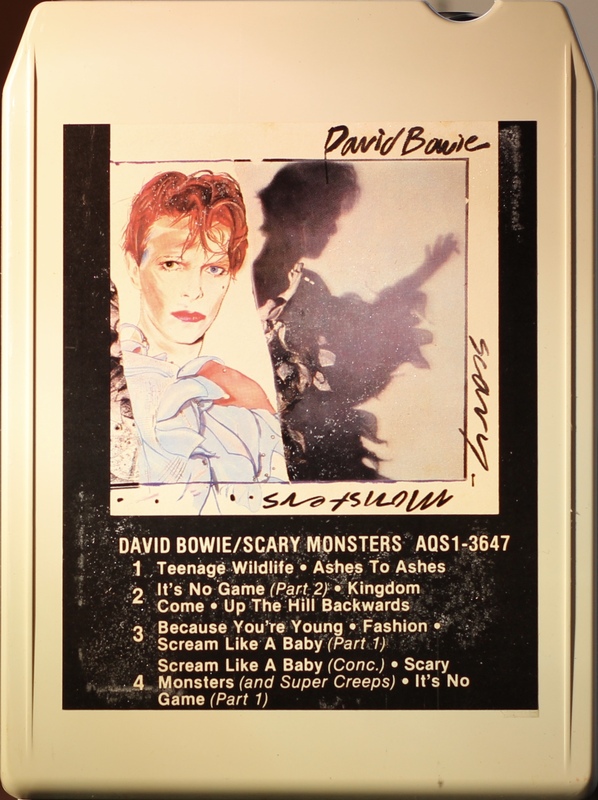 Scary Monsters (and super creeps); USA; RCA; AQS1-3647; 1980. Red box sleeve with white border to cover picture. ‘8 Track Cartridge’ on the top of the front panel and and the top panel and RCA logo on the bottom front panel. The side panels have one Care Information and one blank sides. 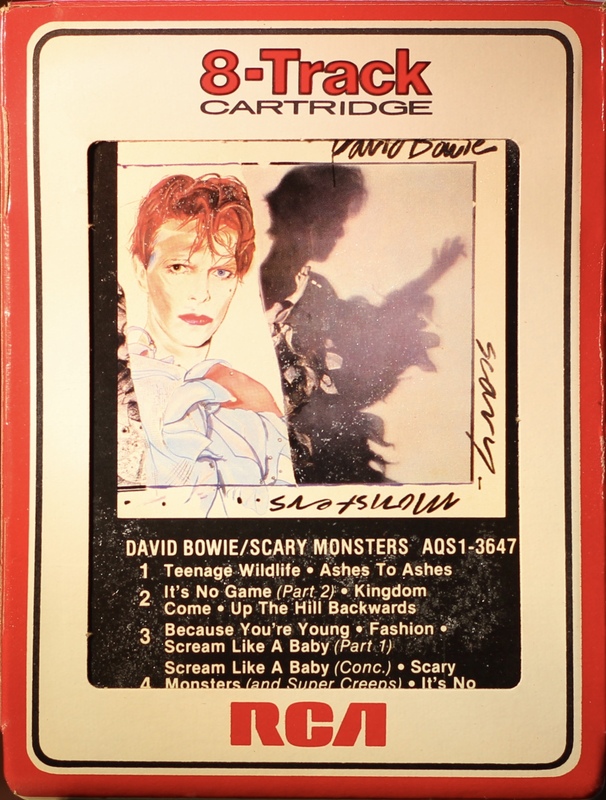 White 8 Track stereo cartridge with cover picture on the front and track running order on the rear. 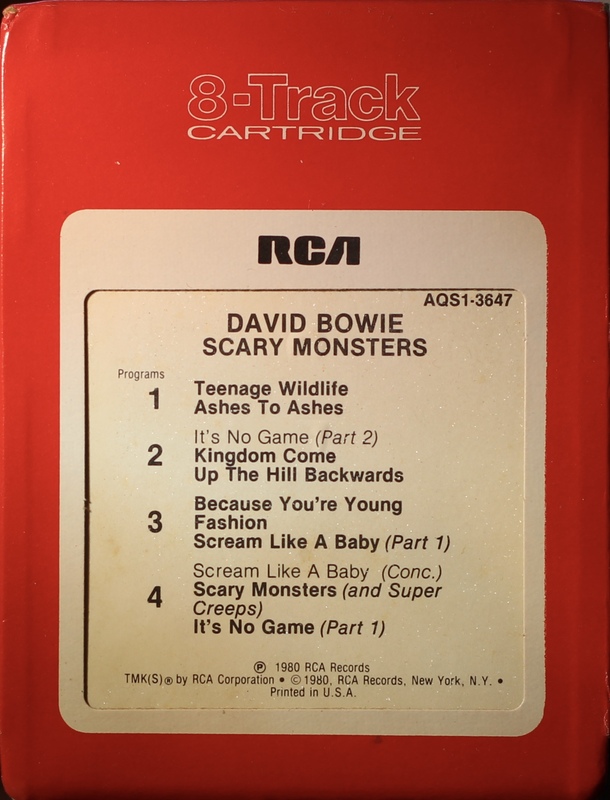 1: Teenage Wildlife; Ashes To Ashes. 2: It’s No Game (part2)’ Kingdom Come; Up The Hill Backwards. 3: Because You’re Young; Fashion; Scream Like A Baby (part 1). 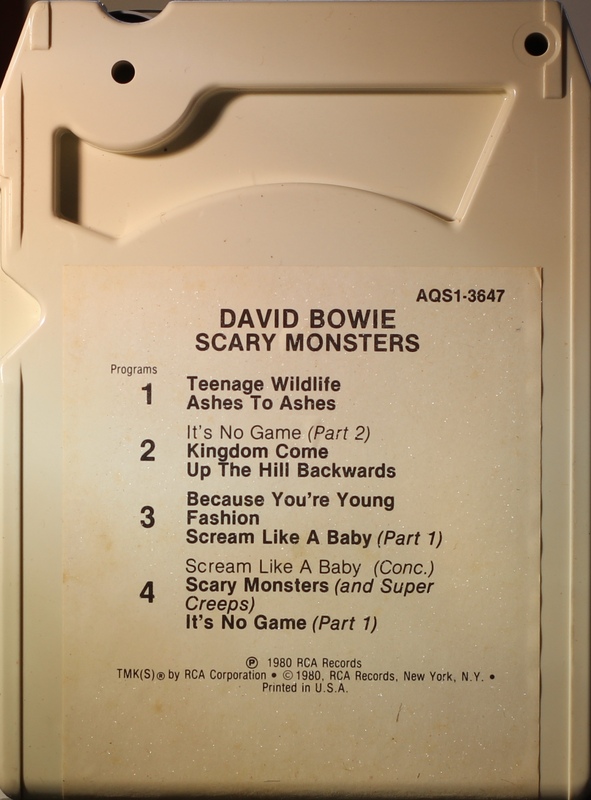 4: Scream Like A Baby (conclusion); Scary Monsters (and super creeps); It’s No Game (part 1).